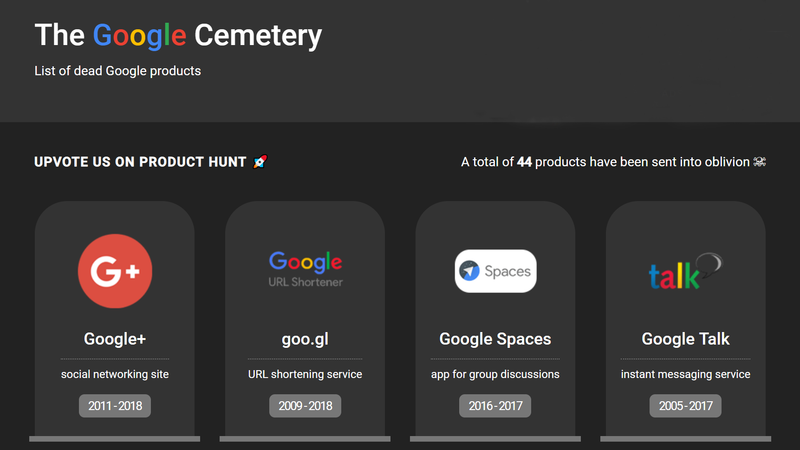 Google isn't known for restraint when it comes to creating new products and services (especially ones with features that overlap existing properties), but it's equally notorious for killing off products — sometimes even those with devoted user bases (e.g. Inbox by Gmail). So notorious, in fact, that not one but two different online resources have popped up to highlight all of Google's many dead products. Let's take a stroll down memory lane, shall we?